8K television broadcasts are slowly creeping towards becoming a reality, but 8K video technology is already being embraced and used in other industries. 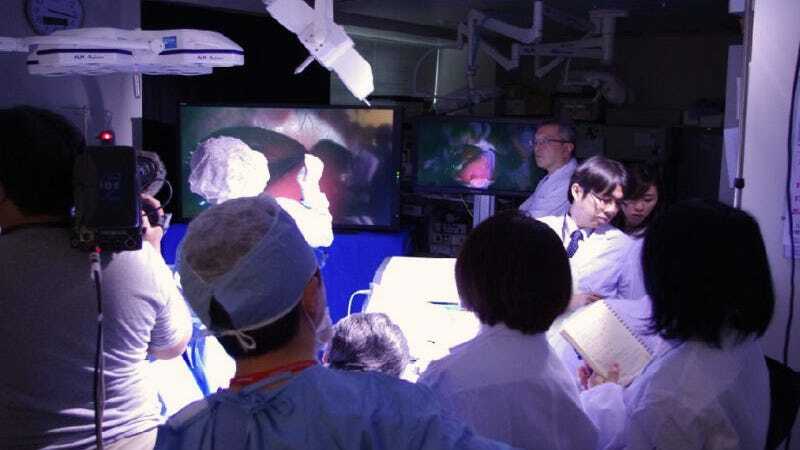 A group called the Medical Imaging Consortium—or MIC for short—has revealed that back in December they used a new 8K endoscope in an experimental surgery where they successfully removed a pig's gall bladder. Performing internal surgery with a live video feed with that much resolution obviously has its advantages. The surgeons were able to back the camera off so they had more room to use forceps and other surgical implements without losing detail in the image they were seeing. They were even able to zoom in on the endoscope's live feed to see fine details like the structures of blood vessels and the boundaries of internal organs because there was just so much resolution to work with.